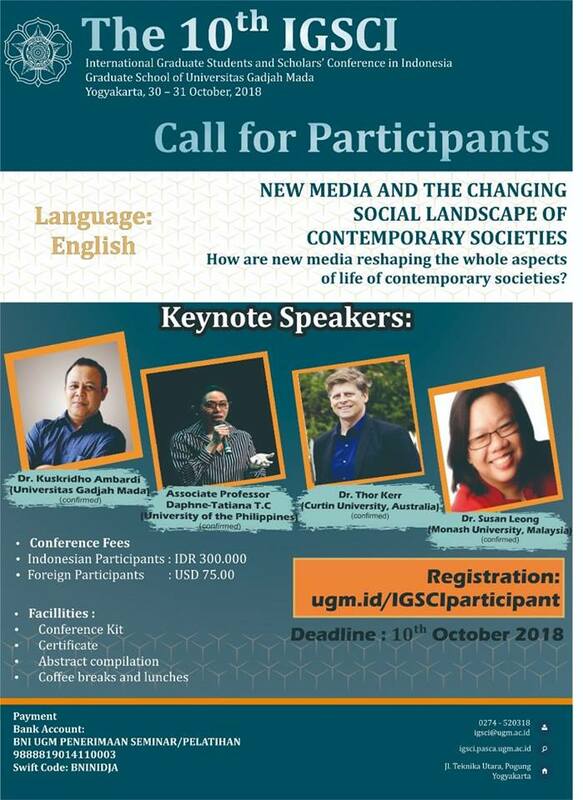 Keynote Lecture at the 10th International Graduate Students and Scholars Conference in Indonesia, Universitas Gadjah Mada, Yogyakarta, Indonesia. 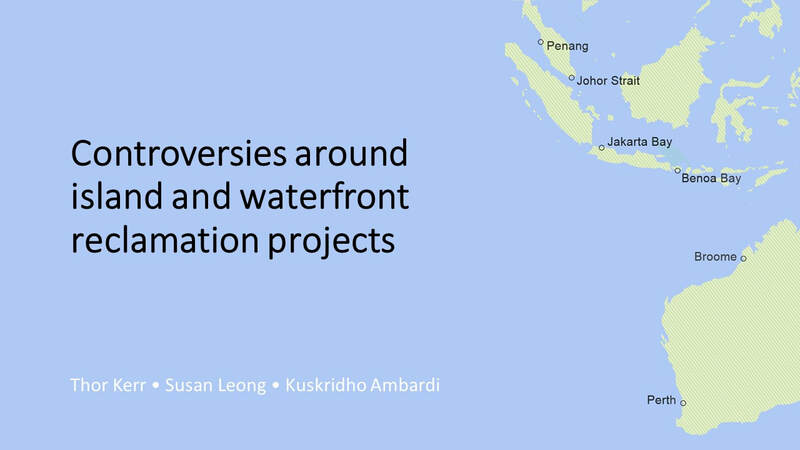 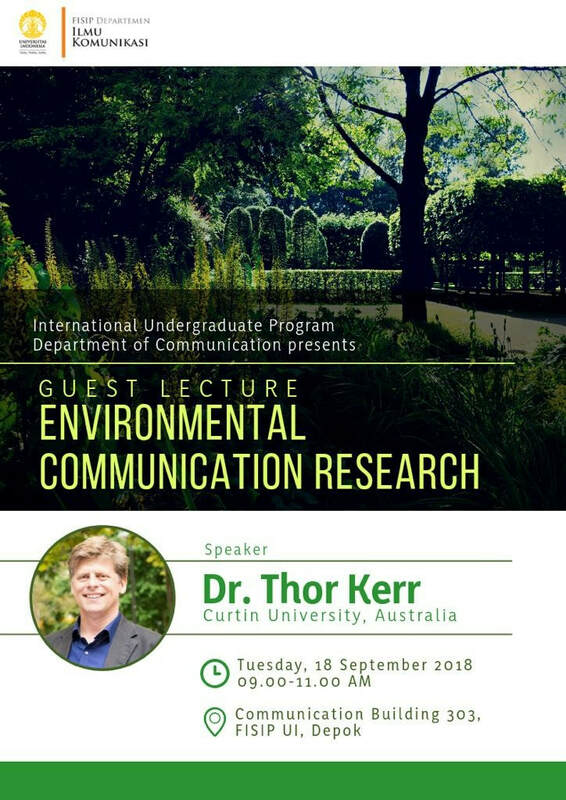 Public Lecture presented at Universitas Indonesia’s Department of Communication, Depok, Indonesia. 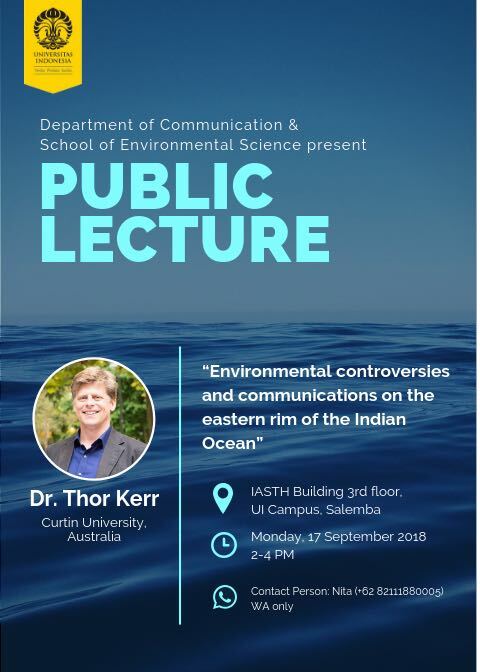 Public Lecture at Universitas Indonesia’s Department of Communication and School of Environmental Science, Jakarta, Indonesia. 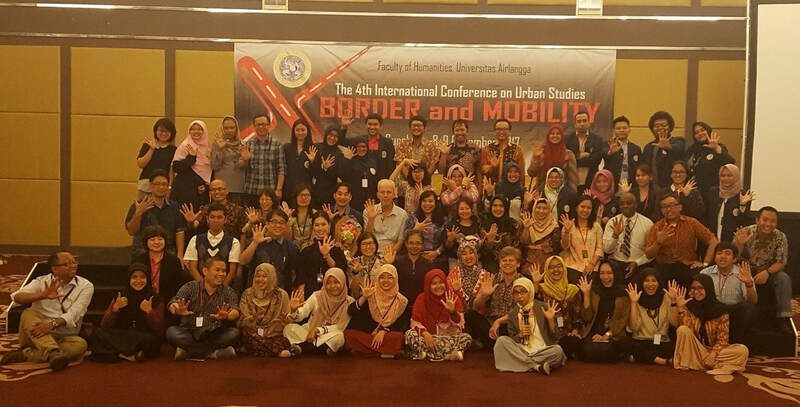 A conference on borders and mobility, hosted by Universitas Airlangga, in Surabaya.